What If You Knew You Were Going to Live Tomorrow? You've prayed the sinner's prayer. You know that if you die tonight, you'll go to heaven. But Todd Hunter believes Christianity is a life, not merely a secure death. Which means that eternal life--abundant life--begins on earth, as soon as we become a follower of Jesus. Drawing from his leadership and ministry experience as president of Alpha USA and from his own study and life experiences as an ordinary Christian, Hunter calls us to reframe our salvation and discipleship to focus on life, instead of just heaven and hell. God's intention, he says, is for us to become God's cooperative friends, seeking to live consistent lives of creative goodness for the sake of others. These pages lead us into this abundant way of living, offering the whole scope of God's story and how you fit into that guidance on the Holy Spirit's role and power in your life creative ways to love, serve and respond to seeking friends help for starting a 'Three Is Enough' small group Jesus came that we might have life--not just in heaven, but here on earth where he walked and lived among us. And your friends who are hurting, hopeless or hungry for something real need to see what difference life in Christ makes. 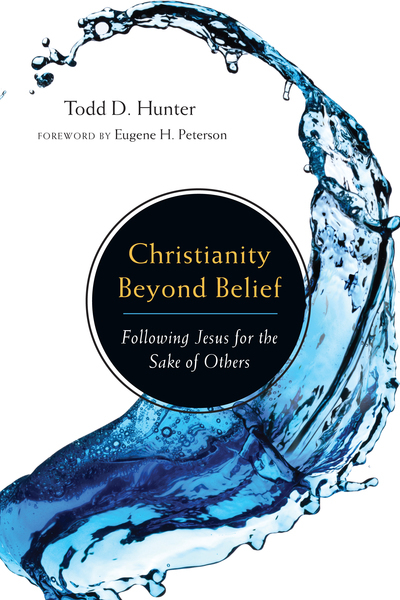 This timely, biblical paradigm from Todd Hunter will inspire and equip you to live your days with intention, participating in God's work in the world today. It just might change the way you look at life forever.